Microsoft Silverlight is a cross-browser, cross-platform implementation of the .NET Framework for building and delivering the next generation of media experiences and rich interactive applications for the Web and devices. aghost.js – Does it ring any bell? yeah, you are right the chemical symbol of Silver is Ag. 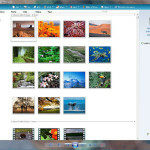 Feature that will be part of Microsoft Expression Media that allows you to create and enhance video. 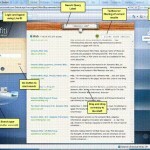 A professional illustration and graphic design tool to create Silverlight assets. Required for the documentation,samples and add-ins . Check the Silverlight gallery to see it in action. 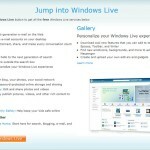 Microsoft is so keen to promote this technology that it has announced a Silverlight streaming by Windows live. Silverlight streaming is a “companion service” that steams media content from Microsoft’s server, supported by its global content delivery network The free service allows videos up to 10 minutes long, in qualities up to a DVD-like 700 Kbps, occupying up to 4GB of total space, and serving up to one million minutes per month. Beyond that, there will a fee-based or advertising-supported service. 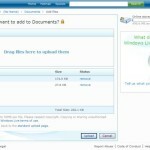 Microsoft Silverlight aims to compete with Adobe Flex, Nexaweb, OpenLaszlo, and the presentation components of Ajax.